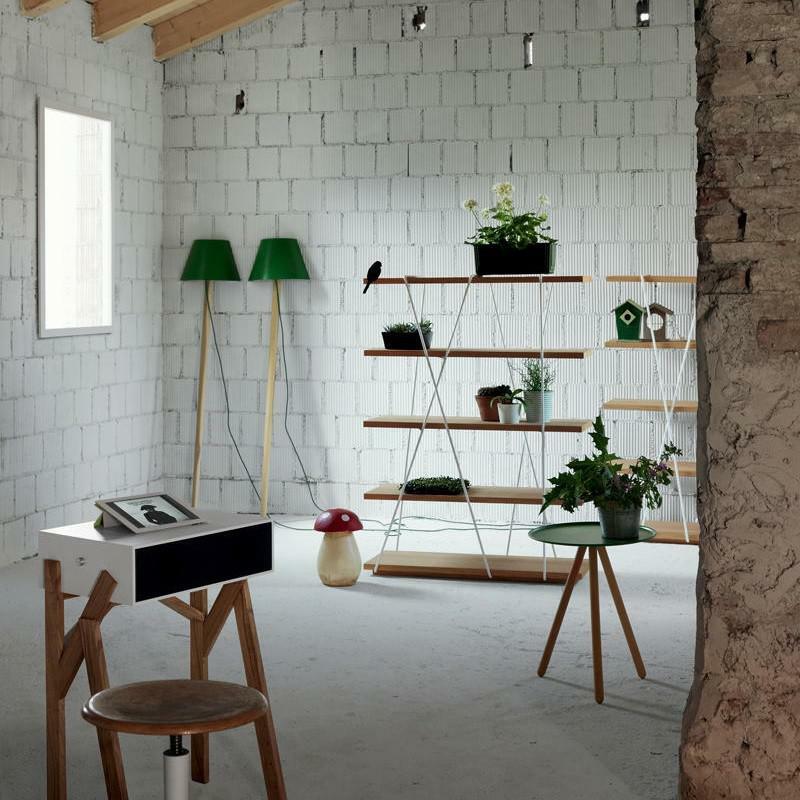 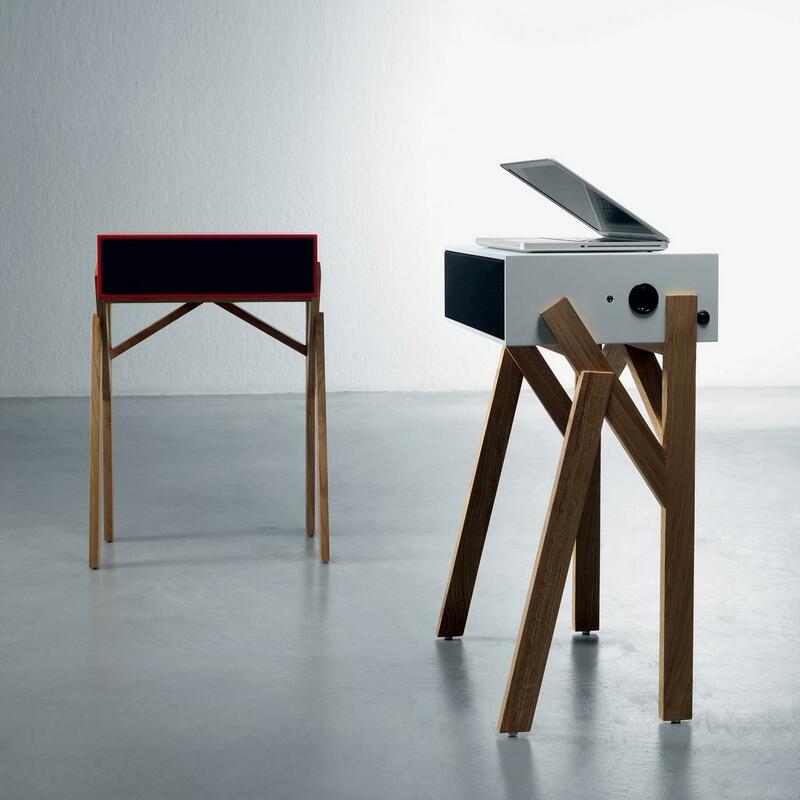 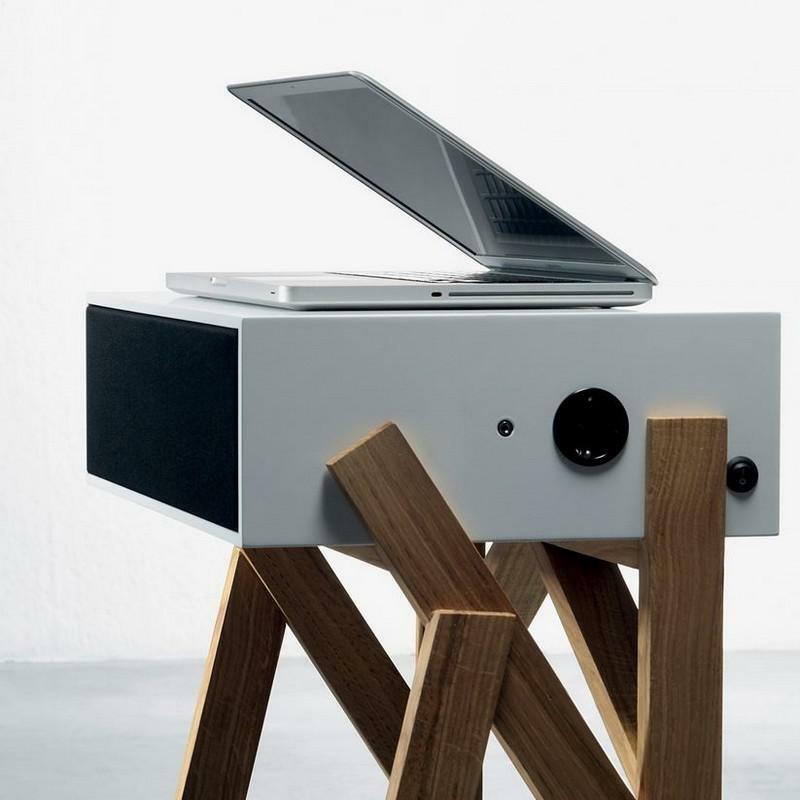 Torototela is a workstation and a practical desk for your notebook or iPad with installed Hi-Fi system. 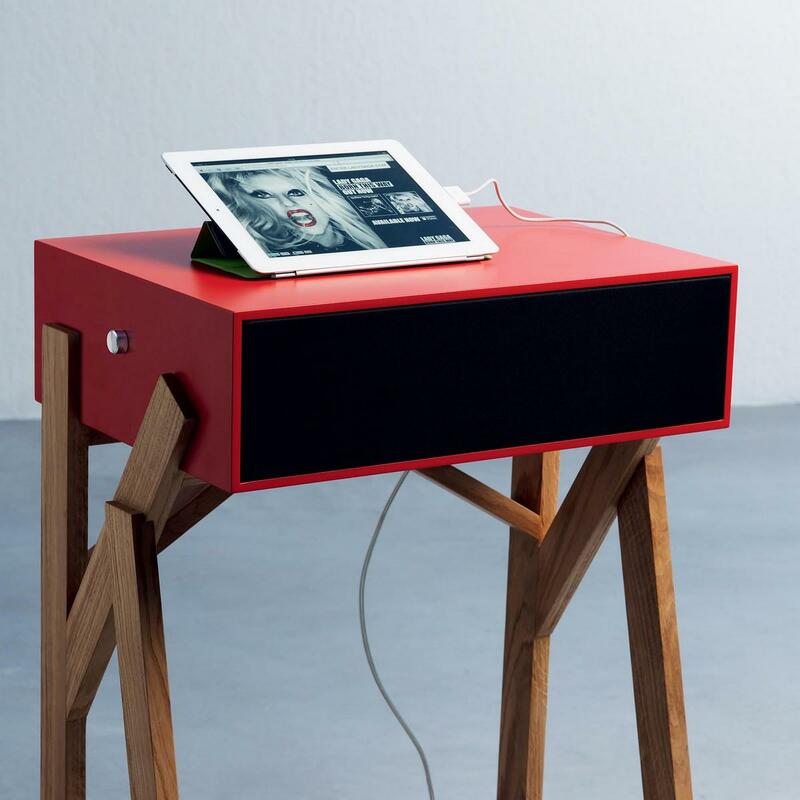 The audio system works with any audio source and output jack (aux or headphones) and gives out high-quality stereo sound. 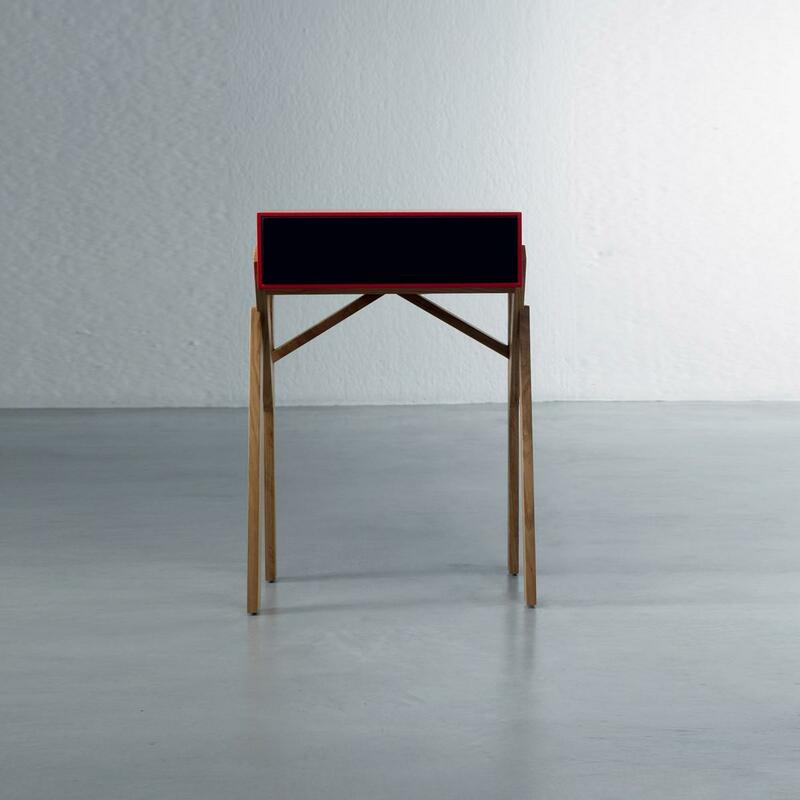 The case is made of superior quality wood, in its natural finish (oak) or lacquered in white, black, red, green or yellow color. 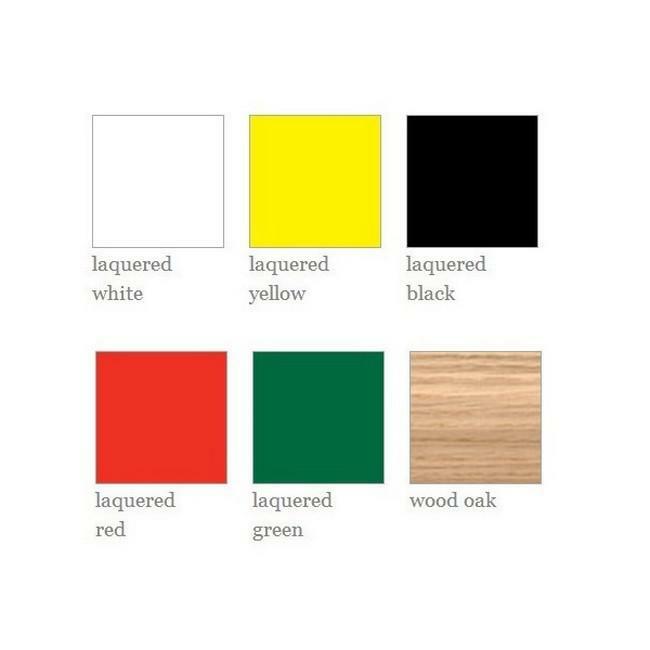 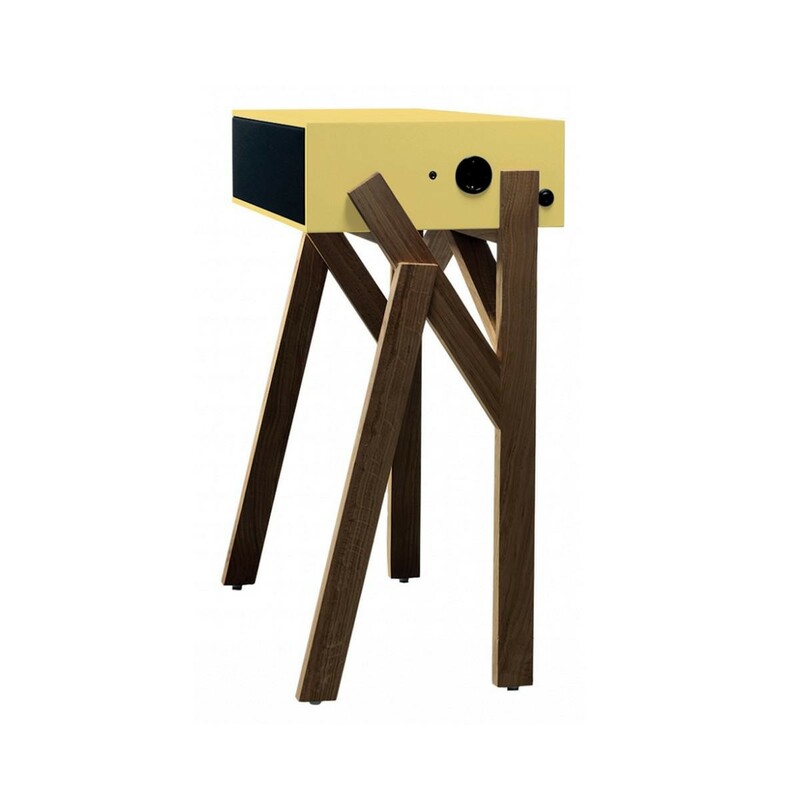 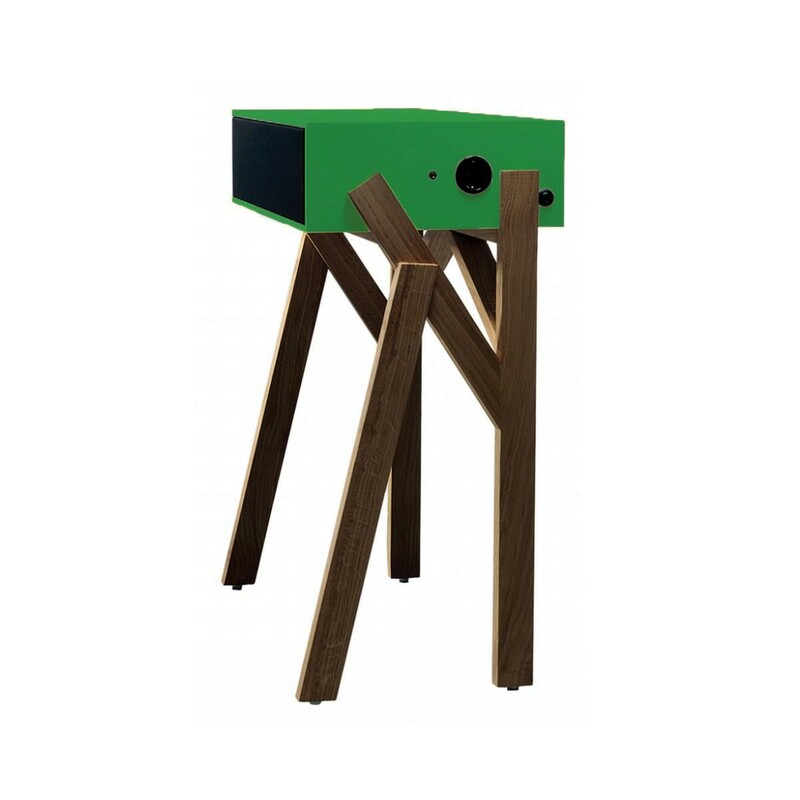 The legs can be (option) in natural color (oak wood), white lacquered or black lacquered. 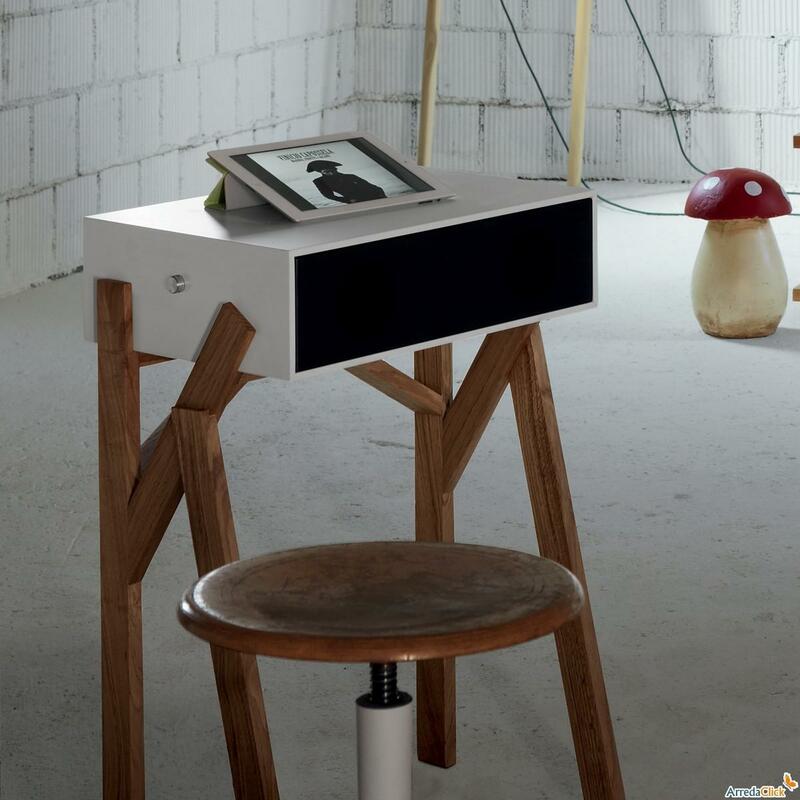 Notebook or tablet workstation with speaker and aux headphone output. 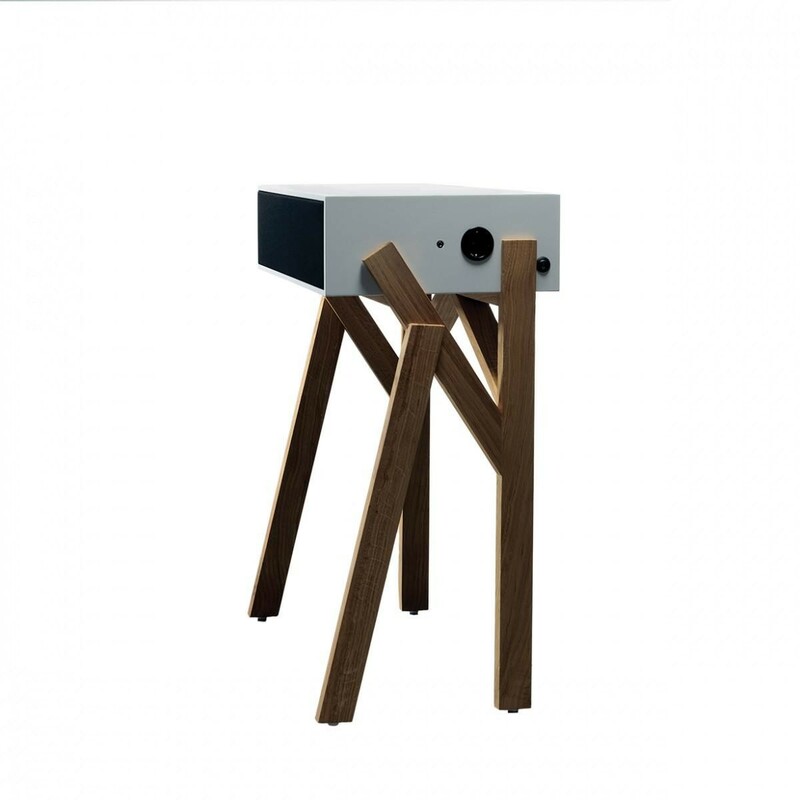 Dimensions:50 x 35 x Height 76 cm, Weight 15 kg. 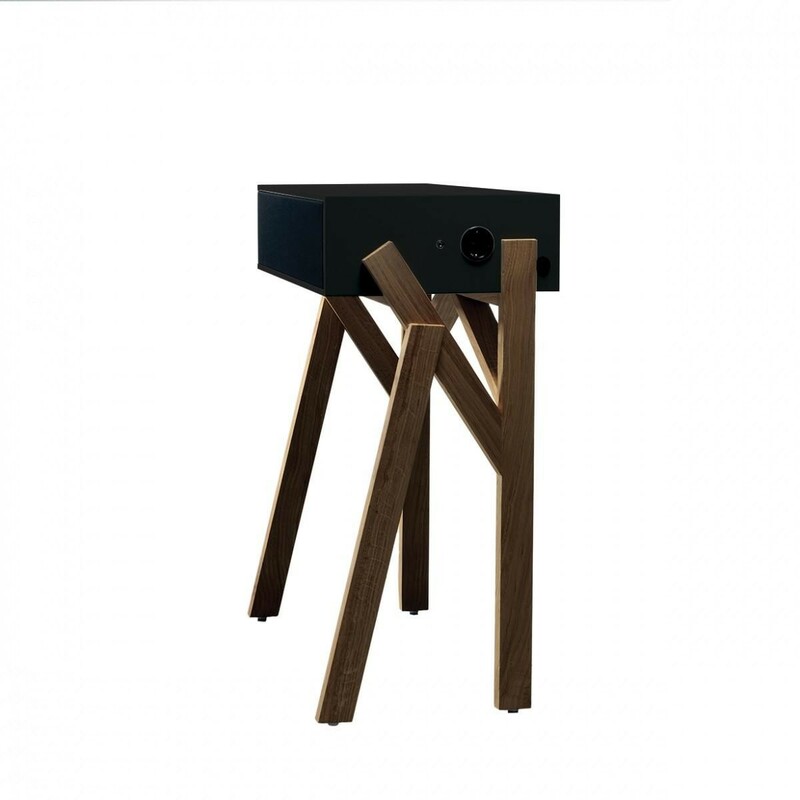 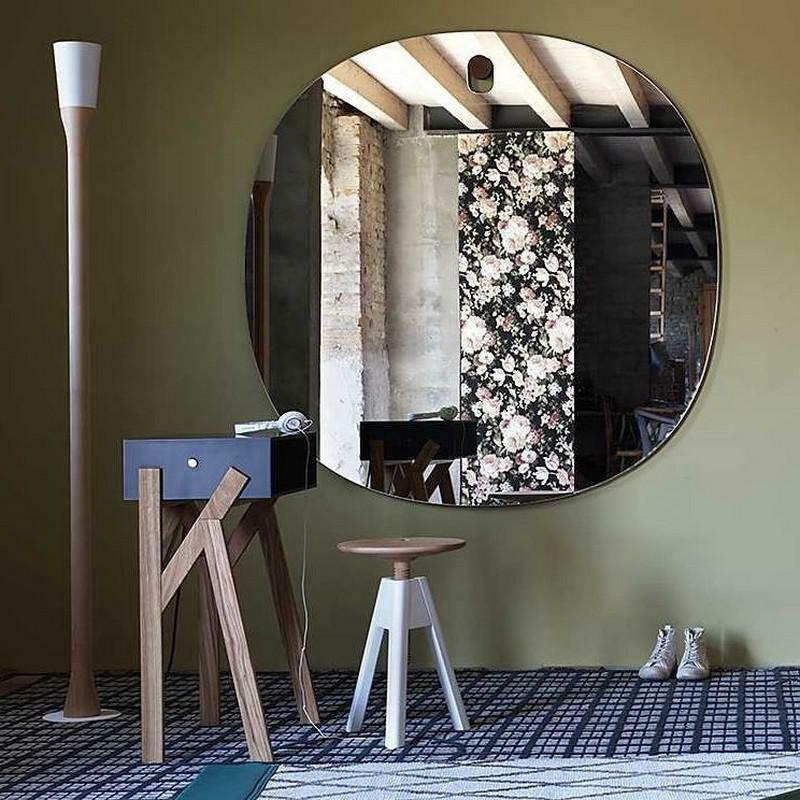 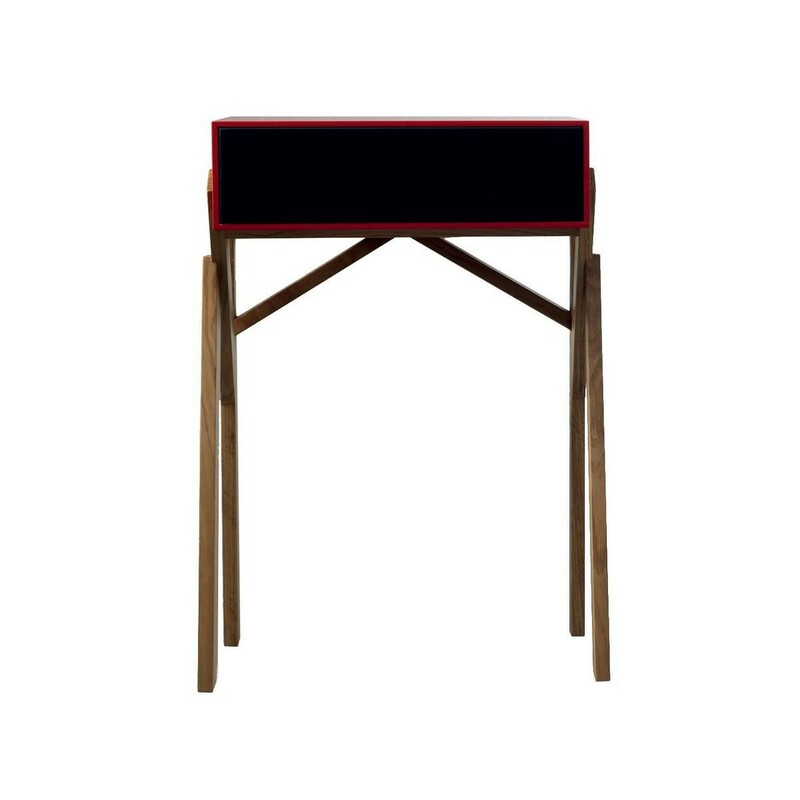 Material: Case and legs in oak wood (lacquered or in natural finish).